Wow!!! 3 Bedroom 2 Bathroom with Fenced yard, above ground pool, play set, bonus room/game room with air conditioning in garage (will convert back) in sought after Southshore area! 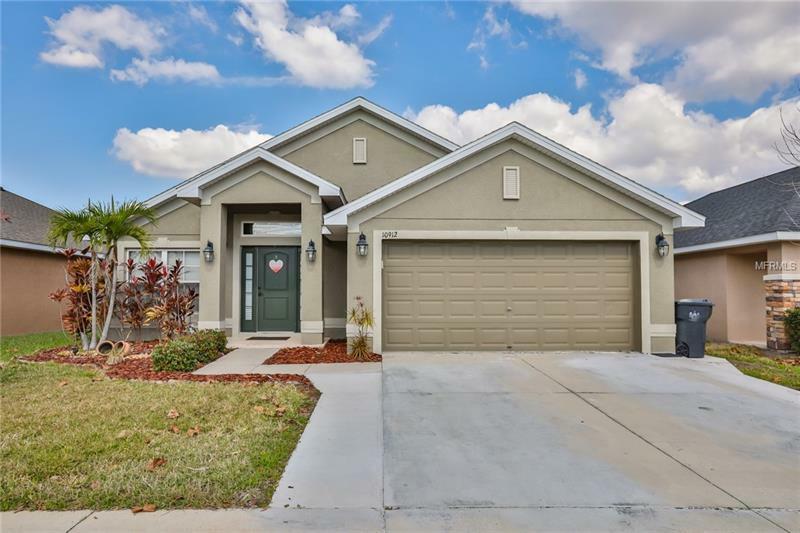 Features include tile in all traffic areas on diagnol, custom light fixtures, tile/wood ceramic in master bedroom, huge screen lanai, mocha kitchen cabinets, and so much more! This home has so many additional features added on too by owners you must see it. Community is situated in Southshore and offers community pool and located close to shopping, i75, beaches & boating, and so much more!